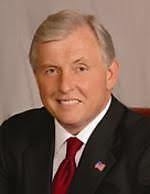 Daniel…..Pennsylvania Governor: Corbett continues to lead Democrats although Onorato has crept a little bit closer to him…. Pennsylvania State Attorney General Tom Corbett (R-PA) continues to lead all Democrats in his Quest to replace Term-Limited Governor Ed Rendell (D-PA). 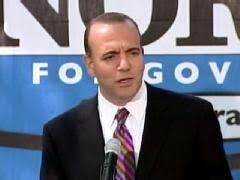 Allegheny County Chief Executive Dan Onorato (D-PA) runs strongest against Corbett. This has probably to do with the Pennsylvania Primary who is fast approaching. Democrats pick their Nominee on May 18th. It’ll be interesting to see whom Democrats will pick on May 18th. Certainly one of the more interesting Governor Primaries this year. 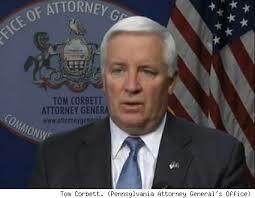 According to an new statewide Survey in the Keystone State Republicans Corbett and Toomey pulling away from Democrats. Daniel……..how can you do a by-line like that? Rendell is within 6% of 50%…a very good comeback from a few months ago…..ole’ Arlen Spector is only down 75 in this poll…and closer in others……..
A new Statewide Survey in the Keystone State shows State Attorney General Tom Corbett (R-PA) extending his lead over his 3 Democratic Rivals. Corbett now leads between 13 and 21 Points. Although “The Dog” keeps punishing me by saying we’ve still 8 months out until Election Day but there is one big Caveat: He doesn’t know the States Trends. The Keystone States Governor Mansion has changed EVERY 8 Years. Former Governor Tom Ridge (R-PA) won the Governor Race in 1994 and got reelected in 1998 before joining the Bush Administration to become the new Chief of the newly created Homeland Security Department. Ridge though now maybe kicking himself for not launching a Senate Campaign against embattled Senator Arlen Specter (D-PA). 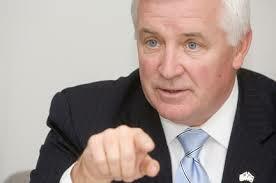 I also think the Democratic Field for Governor is too weak to make any serious inroads against Corbett (R-PA). Pennsylvania along with Ohio is the single most important Governor Race to get back from Democrats as Republicans control the State Senate and therefore could draw themselves favorable Congressional District Lines for the 2012 Elections. Going briefly back to Ridge it was probably the biggest loss this Cycle for NRSC John Cornyn (R-TX) to not have him running for Senate. Ridge would have likely locked this thing up by now. I’m assuming Cornyn will stay as NRSC Chief so there is a possibility that he may can convince Ridge to run against Senator Bob Casey (D-PA) in 2012. You are probably right in the case of the Governor’s race…..While Spector has made a come back in the Senate race…..even this far out things don’t look good in the Governor’s race for democrats…..
From Daniel G…….Pennsylvania Governor: Corbett, Onorato lead Primaries; Corbett clear Frontrunner for the General Election new Quinnipiac Survey finds …. The second part of the Quinnipiac University Survey in Pennsylvania has been released this morning and it finds State Attorney General Tom Corbett and Allegheny County Executive Dan Onorato leading their Party Primaries to be held May 18th. 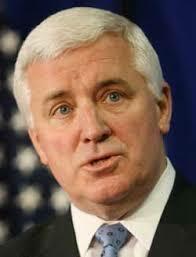 Corbett is also the clear Frontrunner for the General Election in November. Currently the PA Governor Race is a lost cause for Democrats and I doubt that’ll dramatically change until November. A new Franklin & Marshall Pennsylvania Poll shows Senator Arlen Specter (D-PA) and Attorney General Tom Corbett (R-PA) leading their respective Primaries for Senate & Governor. The Democratic Primary for Governor is a Toss-Up. However Senator Arlen Specter (D-PA) as well as U. S. Rep. Joseph A. Sestak (D-PA) trailing their Republican Counterpart former U. S. Rep. Patrick J. 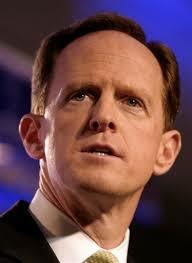 “Pat” Toomey (R-PA) by double digits in General Election Head-to-Heads. Specter’s showing (although he still trails) is a slight Improvement from a F & M Survey a month ago when he trailed Toomey by 14 Points. Merlin on the Pennsylvania Governor race….. This could be possible the last Poll of Day. After having a Poll out for the Pennsylvania Senate Race yesterday Rasmussen looks at the Open Governor Race and finds State Attorney General Tom Corbett (R) running far ahead of his Democratic Opposition. Seventy-one percent (71%) of Pennsylvania voters are angry with the current policies of the federal government, including 46% who are very angry. Most (58%) also agree with the idea that neither Democratic nor Republican leaders in Congress know what is needed today. Those results are similar with those found on the national level. Sixty-six percent (66%) of voters in Pennsylvania believe it would be better for the country if most congressional incumbents up for reelection this year were defeated, while only 16% say it would be better if most were reelected. 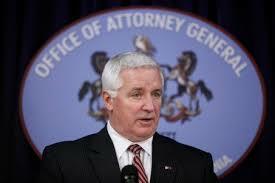 Could Corbett pull Toomey over the Finish Line in the Senate Race? The latest Rasmussen Reports telephone survey in the state shows Corbett leading former Congressman Joe Hoeffel 51% to 29%. Against Allegheny County Chief Executive Dan Onorato, he leads 52% to 26%. When State Auditor Jack Wagner is his Democratic opponent, Corbett is ahead 49% to 28%. However, in all three match-ups, at least 15% of voters remain undecided at this point. Analysis……The voters of this state are mad at their outgoing Governor……very mad….thet are also very mad at incumbents in general…..This is big trouble for this traditionally democratic state…..only time will tell if they stay mad….. The democrats seem to be behind at this date here….I expect things to pick up for them though….